Underfloor Heating Technologies offer a range of wet underfloor heating services to most underfloor heating manufacturer’s systems. If you have an underfloor heating system that is not operating properly please contact us via telephone, email or the form at the bottom of this page with details of your problem and, if possible, the name of the manufacturer of your equipment. It is also helpful if you can supply photographs of your underfloor heating manifold and your thermostats. 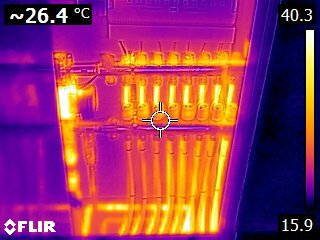 Underfloor Heating Technologies specialise in wet underfloor heating only, we do not supply or fit electric underfloor heating systems and can not offer servicing or fault finding for electric underfloor heating systems. 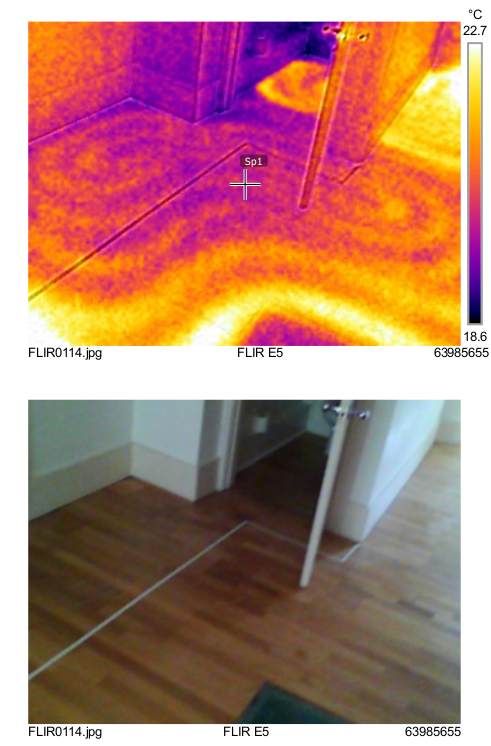 While in general underfloor heating systems do not require regular servicing, however individual system components do have a life span and can develop faults resulting in either under-heating or over-heating of some or all underfloor heating zones, water leaks from the underfloor heating manifold or noise from the underfloor heating manifold. 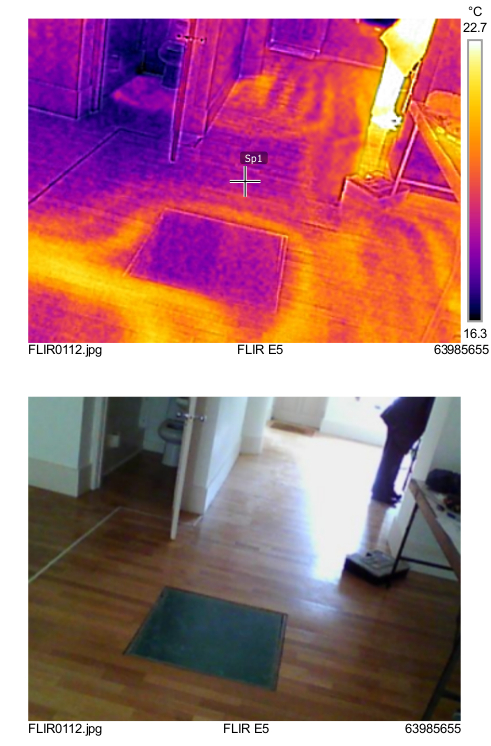 Underfloor Heating Technologies offer a servicing and maintenance service to diagnose and fix these problems. Some problems can even be rectified through telephone or email correspondence alone. 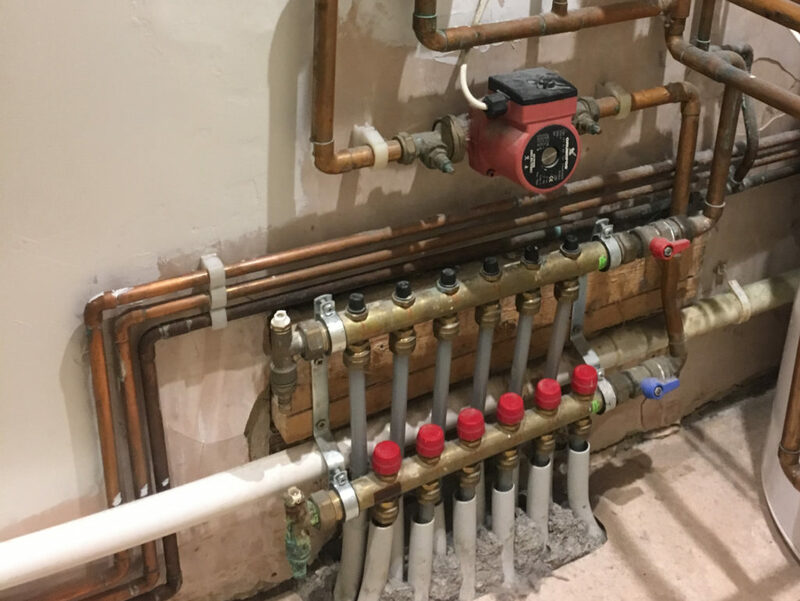 If necessary Underfloor Heating Technologies can provide a complete replacement of all above ground underfloor heating components including underfloor heating manifold, programmable room thermostats and other underfloor heating control equipment. Existing faulty underfloor heating manifold that was supplied without independent zone control. Circulation pump and thermostatic mixer valve (not pictured) were supplied as loose items to be fitted separately. 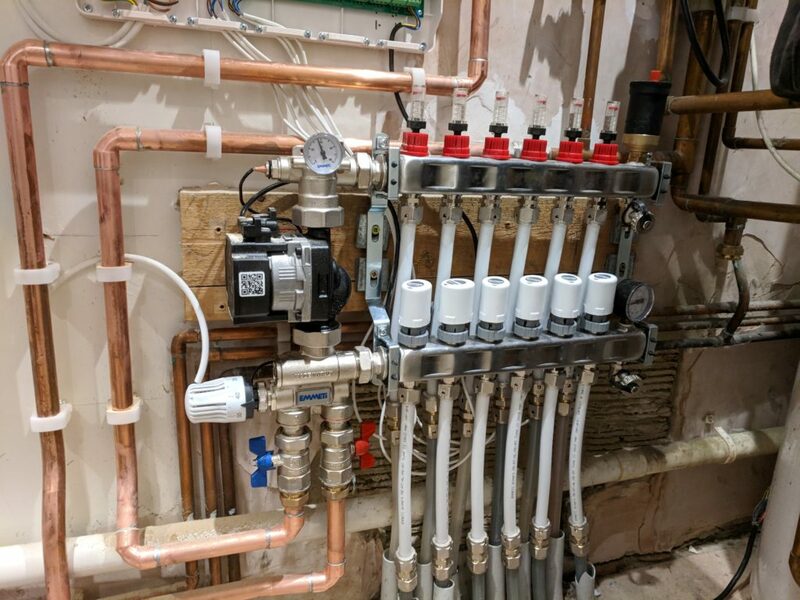 Replacement Emmeti UK Manifold (incorporating circulation pump and thermostatic mixing valve) with full independent zone control supplied and fitted by Underfloor Heating Technologies. 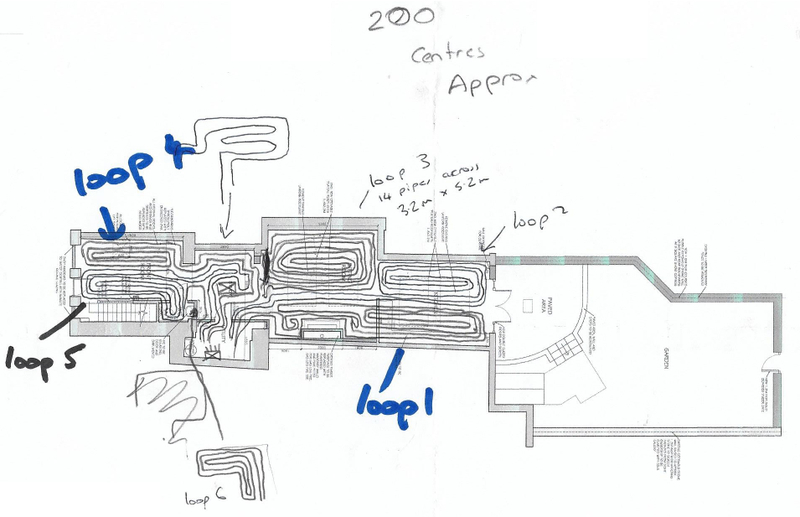 Please note that a Plumber and an Electrician will also be required for a full above ground system replacement. 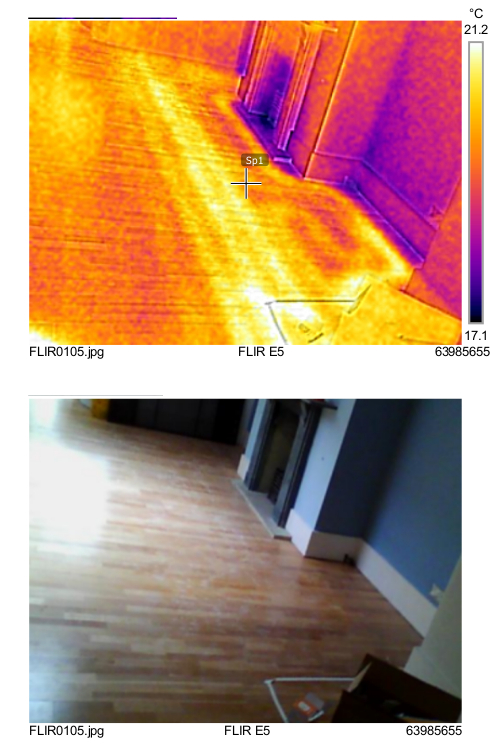 Below floor underfloor heating leaks can have many different causes, in screed floors the underfloor heating pipe can be damaged by the screeder’s tools or it can be drilled through when fitted furniture is being installed. 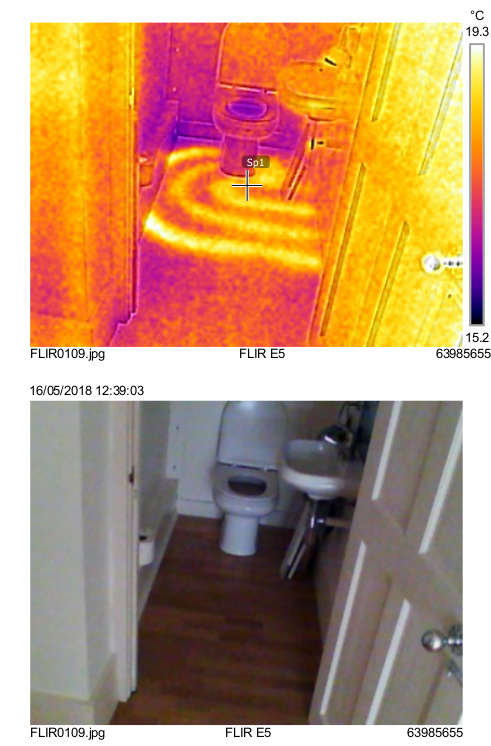 Underfloor pipework can be vulnerable on joisted systems if care is not taken by floor layers to avoid the underfloor heating pipes when screwing or nailing their boards down. 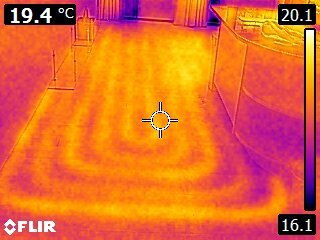 Underfloor Heating Technologies are experienced in leak detection and repair, our Thermal Imaging camera is particularly successful in locating leaks in screed floors and has use in finding leaks in joisted floors too. 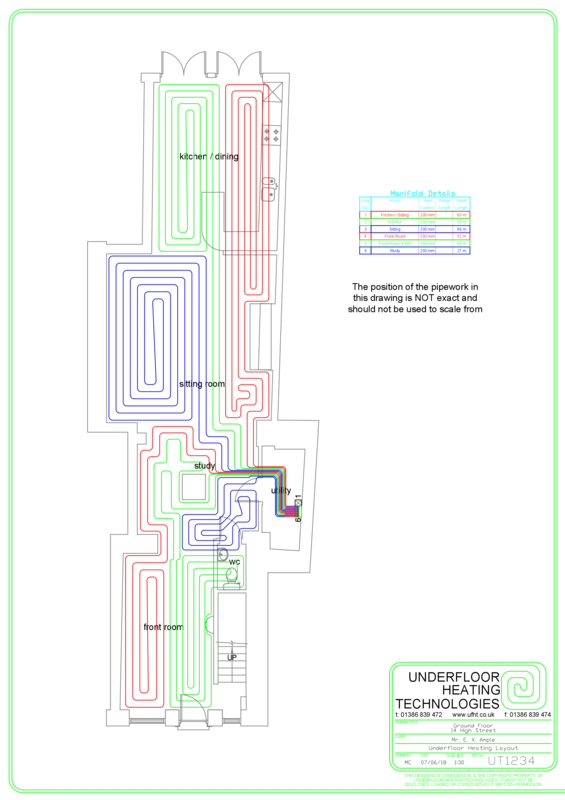 All underfloor heating systems should be provided with a set of ‘As Installed’ drawings for reference but we find that often this is not the case. This can lead to problems including incorrect wiring of underfloor heating thermostats or other issues when planning future building work. 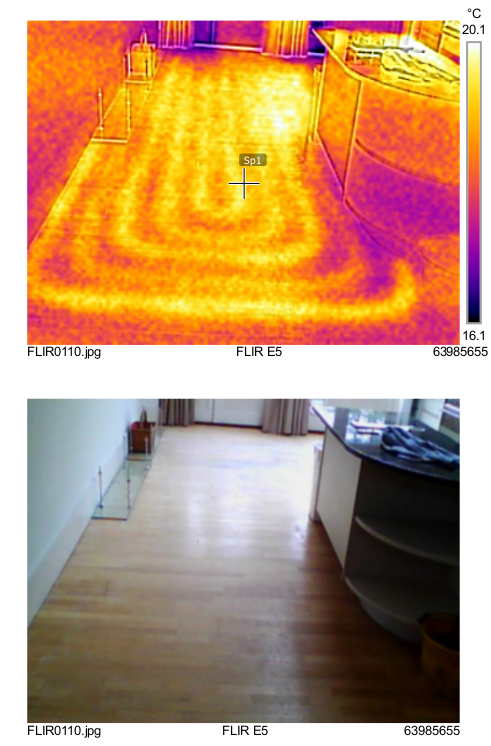 Underfloor Heating Technologies can perform Thermal Imaging Surveys to map out an existing underfloor heating system and use this information to provide new underfloor heating layout drawings for your records.